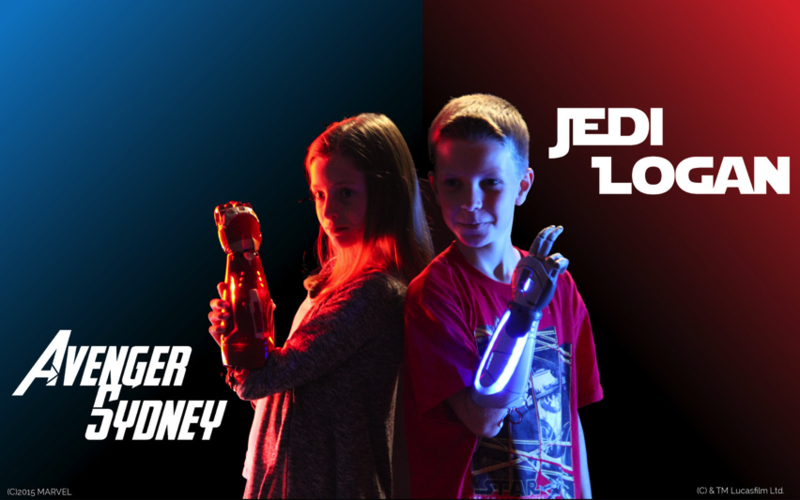 Iron Man and Star Wars themed bionic hands made with NeoPixels #WearableWednesday « Adafruit Industries – Makers, hackers, artists, designers and engineers! 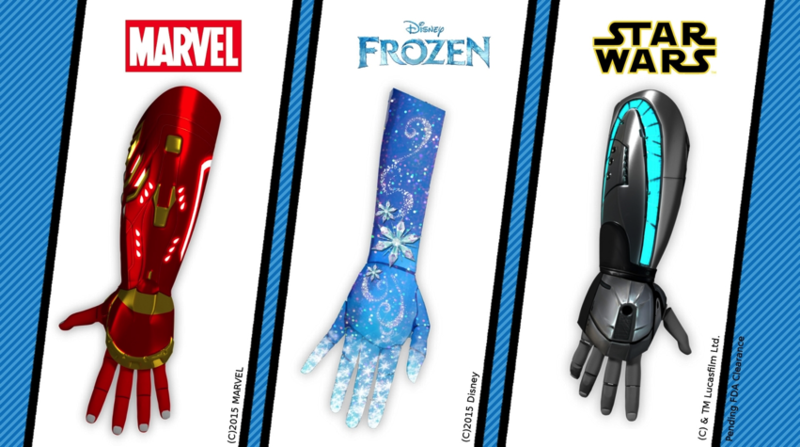 You’ve blogged about one of our Fashion bionic hands before but I think you’ll find our Iron Man and Star Wars light sabre hand way cooler. We use Adafruit’s neopixels in both bionic arms. programme where if you swing your arm like a lightsaber the lights will clash just like in the movies. The Iron Man hand neopixels are switched on by EMG sensors. So, the girl moves her arm muscle to ‘charge’ her blaster repulsor which shots light from her palm. We’ve programmed a really cool ‘heating’ up sequence for the neopixels so you can see the arm loading in lights. 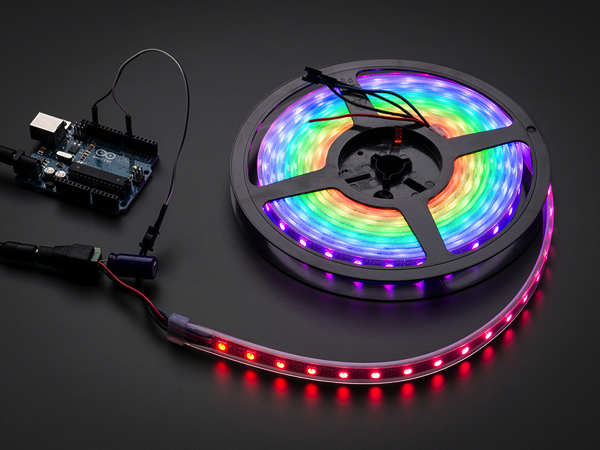 Adafruit NeoPixel Digital RGB LED Strip – Black 60 LED – BLACK: You thought it couldn’t get better than our world-famous 32-LED-per-meter Digital LED strip but we will prove you wrong! You wanted twice the LEDs? We got it (well, it’s 1.875 times as many but that’s within a margin of error). You wanted thinner strips? Now only 12.5 mm wide, 10 mm if you remove the strip from the casing. You wanted less noticeable strip color – this strip has black-colored flex PCB, which will be less visible against black-painted walls. Read more.